Historical marker #830 in McLean County commemorates the Union camp site of the 35th Kentucky Infantry. On September 26, 1863, the 35th Kentucky (Union) Infantry was organized at Owensboro, Kentucky. Although the regiment was mounted, it was never officially designated as mounted infantry. Colonel Edmund A. Starling commanded this regiment. They were mustered into the United States service on October 2, 1863, by Captain Knight, and signed on for three years of service. In the fall of 1863, Starling’s men marched from Owensboro to Henderson and then onto Hopkinsville. After this time, the 35th Kentucky Infantry guarded the country between the Green and Cumberland rivers. For nearly a year, the regiment fought Confederate guerillas in the area. In July 1864, the Federal troops camped in McLean County, on land north of the Houston family’s property. The following year, in August 1864, Union troops, including Company A of the 35th Regiment, marched from Elizabethtown in pursuit of Confederate General Adam R. Johnson. General Edward H. Hobson commanded the Federal troops as they pushed Johnson and his men out of Kentucky and into Tennessee, in the direction of Cadiz. Over the next several months, the Kentucky regiment transferred to General Stephen Burbridge’s command and participated in the Battle of Saltville, Virginia. By November, they returned to Lexington, Kentucky. On December 29, 1864, the 35th Kentucky Infantry was mustered out in Louisville. On May 30, 1965, the historic marker was dedicated for the 35th Kentucky Infantry, Company D. This marker became the third one to be erected in McLean County. William E. Quisenberry, the county attorney, was the speaker for the unveiling ceremony, where many descendents of Civil War veterans attended. 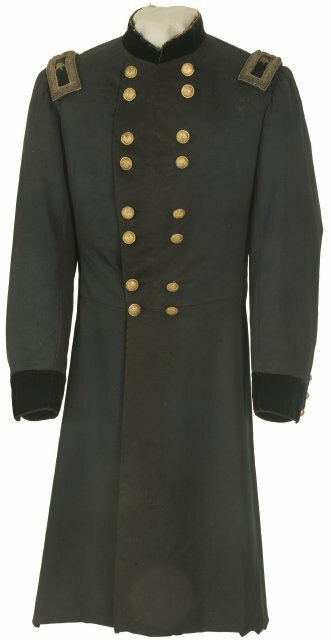 General Edward H. Hobson’s Frock Coat: Hobson was commander of the Union troops, including the 35th Kentucky Infantry, which pushed Confederate Adam Johnson’s men out of Kentucky and into Tennessee. Courtesy of the Kentucky Historical Society. 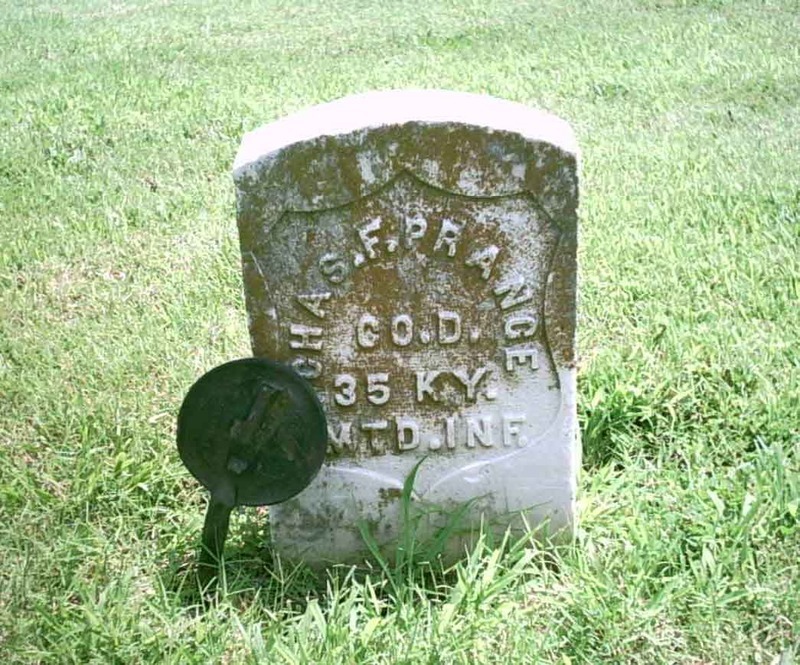 Grave of Captain Charles Prang: He was the highest ranking solider from Kentucky’s 35th Infantry, Company D from McLean County. Courtesy of Kansas Genealogy Web Project. Whitney Todd, “Union Camp Site,” ExploreKYHistory, accessed April 22, 2019, https://explorekyhistory.ky.gov/items/show/624.